This kind of came out of nowhere, but wiry indie rock supergroup Wild Flag have apparently called it quits. News of the apparent split came from drummer Janet Weiss, who explained to The Skinny [via FACT] that the bi-coastal nature of the band was a factor in the decision. "It was great but I think it just kinda ran its course," Weiss said, adding, "It's hard to have a band when you live five hours apart by plane." At present, however, no other member of the band has weighed in on the supposed split, and Wild Flag's label Merge Records has yet to respond to Exclaim! 's request for comment. UPDATE: In response to Exclaim! 's query to Merge, the label has confirmed the split, writing, "I think we can trust Janet's statement on the subject." 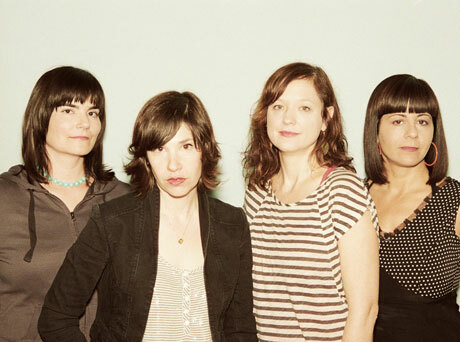 Formed in 2010, Wild Flag featured Weiss and fellow Sleater-Kinney member Carrie Brownstein, as well as Helium's Mary Timony and the Minders' Rebecca Cole. They first issued the two-song "Future Crimes" / "Glass Tambourine" for Record Store Day in 2011, with both songs later being re-recorded for their self-titled debut. They also put their "Romance" from the LP onto a split 7-inch with Mission of Burma. The rest of the Skinny interview focuses on Weiss's current time touring and promoting Quasi's new Mole City LP, but brings up the recent pseudo-Sleater-Kinney reunion in Portland, which had Weiss, Brownstein and Corrine Tucker joining Pearl Jam, Peter Buck and more onstage for a cover of Neil Young's "Rockin' in the Free World." The beloved Sleater-Kinney are still currently on an "indefinite hiatus." In other Wild Flag-related news, it was recently revealed that Mary Timony's new Ex Hex project had signed to Merge Records, with plans to deliver a debut album sometime in 2014. The self-described "power trio" also includes the Fire Tapes' Betsy Wright and the Aquarium drummer Laura Harris.